Home > Ask Our Experts > Do I Need to Worry About UK Taxes? I started a US based consulting company earlier this year and have been hired by a UK firm. I will spend about 35% of my time in London working for this UK company. I bill and am paid in US dollars to my US bank account. My residence and business address is also in the US. Do I need to worry about paying UK taxes or do I need some type of work visa? I am a US citizen and pay taxes in the US. Yes, you will need a visa to work here. Assuming that is sorted out, to a certain extent the nature of your tax obligations will depend on how your company is structured and how you choose to pay yourself. In the past a number of contract workers (mainly in the IT sector) set up one-man band companies, styled themselves consultants, and paid themselves mainly through dividends. This was essentially a tax dodge as it allowed them to pay less tax on their income than they would have done had it been treated like a normal salary. In recent years, with IR35 legislation, the UK exchequer has cracked down on this practice, and many of the former “consultants” are now treated as if they were employees because they work as if they were employees for a single firm. Sometimes a hearing is necessary to determine the status of the consulting firms in such cases. Criteria such as whether the consultant has a number of clients, or only one, are considered relevant. Assuming that you are treated as a normal self-employed person, rather than a company, to be considered tax resident in the UK, you would normally have to be present in the country for more than 183 days in the tax year (which stretches from 6 April to 5 April of the following year). If you are spending 35% of your time in Britain, then, it is unlikely you would exceed this threshold. If you keep up a pattern of visiting the UK for several years in succession, though, and the duration of your stay in each year was more than 90 days, eventually you would be treated as a resident for tax purposes, usually after 4 years of this pattern of behaviour. 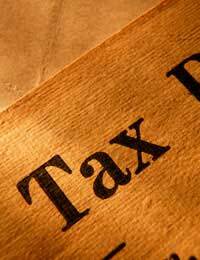 If you are considered resident for tax purposes, you would be taxed on your worldwide income by the UK authorities. US authorities also tax on worldwide income. So you would have to submit tax returns to both authorities. There is a double taxation agreement between the two countries, however, so you should never find yourself being taxed twice on the same income. When you arrive in the UK, you should be asked to fill in an P86 form, which the British government uses to decide whether and how you should be taxed while you are here. So they will actually tell you what your tax status is.